Should Darth Vader Get An Anthology Movie? Disney and Lucasfilm admitted going into this year's Rogue One: A Star Wars Story that the film was something of an experiment. It was the first live-action movie in the franchise to take place outside of the traditional Skywalker family saga and operate as a standalone anthology film. Due to the nature of Rogue One's story (a band of Rebels team up to steal the Death Star plans), it obviously had a multitude of connections to the original trilogy, but it was still quite different from what came before. Now that the film is playing in theaters worldwide, it's safe to say the experiment was very successful. Rogue One earned positive reviews from critics (read ours), and Disney is anticipating a $140 million domestic opening. Rogue One coming this strongly out of the gates illustrates that Lucasfilm's plan to annualize their prized possession is a viable one, and there will no doubt be several more spinoffs on the way. The young Han Solo movie comes out in 2018, but besides that, no other anthology film has been confirmed. With a third standalone coming through the pipeline for 2020, fans have spent the last couple of years debating what that movie could cover. Boba Fett, Obi-Wan Kenobi, and more have been rumored, but following his memorable scenes in Rogue One, several viewers have become excited by the prospect of a Darth Vader anthology film. Would that be the best course of action for Lucasfilm to take? We now analyze the pros and cons. Speaking from strictly a business sense, Darth Vader would be a no-brainer. The Sith Lord is one of the most recognizable (and marketable) characters in all of pop culture, and his presence in any film would be enough to post substantial numbers at the box office. There's a reason why Vader was included in multiple Rogue One trailers and TV spots, despite having only two scenes in the final product. The villain is a franchise icon who excites both die-hard fans and casual audiences. If a Vader spinoff was ever made, there would be a great deal of interest from all corners of the filmgoing public, and regardless of its critical reception, Darth Vader would be just fine from a commercial perspective. The financial merits of a Vader spinoff are undisputed, but there's also the potential for a compelling narrative focused on the Dark Lord. So far, Lucasfilm seems interested in anthology concepts that flesh out and complement what's already been seen in the saga films. 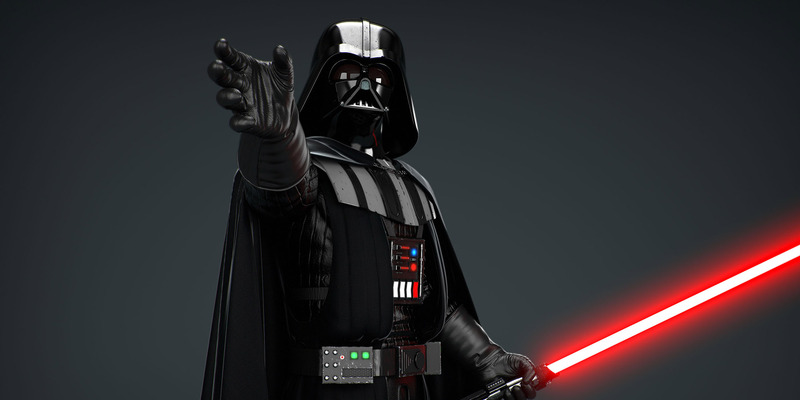 Darth Vader could easily explore the dynamic between Vader and Emperor Palpatine. Their interactions in the original trilogy were brief and mostly about Luke Skywalker, so there's some new territory for the films there. The canon novel Lords of the Sith dealt with this, but it's something the movies haven't really touched. Marvel's 25-issue Darth Vader comic series also showcased that there are always new stories to tell with the character, detailing the three years between A New Hope and The Empire Strikes Back. Even though Anakin Skywalker/Darth Vader has been featured in some capacity in the eight films to date, someone this rich and interesting can have more to do. Arguably, Lucasfilm could have been laying the foundation for Darth Vader in Rogue One, peeling back additional layers to many fans' delight. Vader's scene with Director Orson Krennic takes place in the Sith's lair on an unnamed planet (most likely Mustafar), and several are now curious about what that place is and what Vader is doing there (other than taking baths in a bacta tank). Additionally, the now-famous hallway sequence has already gone down as one of the best Star Wars movie moments, featuring Vader truly unleashing his powers on-screen for the first time. Shot like a horror movie, Vader was extremely horrifying in the sequence, and that approach could make for a pulse-pounding anthology film (which aim to blend other genres with Star Wars). Whether the villain is hunting down Jedi that survived Order 66 or quelling a Rebel cell on an Imperial occupied planet, showcasing the horrors Vader is capable of would be a treat for viewers and make him even more intimidating in the classic trilogy. From a filmmaking perspective, a Vader spinoff also allows for relative creative freedom in terms of character portrayals. Since literally any physically-imposing person can fill out the suit (two people played Vader in Rogue One), Darth Vader could take place at any point in the franchise timeline. The only other required figure in that hypothetical film would be Palpatine, and though Ian McDiarmid is now 72-years old, he can still play the Emperor under prosthetics. Lucasfilm wouldn't run the risk of "recasting" a classic role a la Alden Ehrenreich and can populate the movie with new characters and locations without angering a corner of the fan base upset about someone else taking on an iconic part. As long as James Earl Jones is alive, the possibilities for this are virtually limitless. Still, the fact that the possibilities are virtually limitless for the Star Wars anthology series can be the main argument as to why Darth Vader should not be the subject of his own spinoff. At some point, the filmmakers would be better off going in a radically different direction that is wholly separate from the earlier movies. Not only has Vader been included or mentioned in every live-action film to date (even Episode VII, when the character was dead for 30 years), he's also featured in several of the non-movie canon materials like the aforementioned comic run, novels, and the second season of Star Wars Rebels. For some, the question could be "how much Vader is too much Vader?" If the standalones have the leeway to distance themselves, dedicating resources to Darth Vader could be considered a missed opportunity. Though the Sith Lord is perhaps the greatest villain in cinematic history, he's always been more of a supporting character than the primary focus, with the filmmakers picking and choosing their spots to maximize his impact. Vader's role may have been increased in The Empire Strikes Back and Return of the Jedi, but those were still Luke's movies through and through. This isn't to say that Vader can't carry a movie on his own, but whoever takes on that daunting task would be under monumental pressure. One of the reasons why he was so effective in Rogue One is because he was used sparingly and didn't distract from the main narrative. Of course, the screenwriters could split the screen time between Vader and a group of do-gooders he goes after, but that's a similar setup to the original trilogy and could negatively affect the inevitable action set piece. The hallway "fight" in Rogue One was such a thrill for longtime fans because Vader slices through no-named Rebel soldiers, not the characters viewers spent the last two hours growing attached to. They could celebrate Vader's dominance instead of watching people they love get slaughtered. As is the case with Han Solo, continuing to bring Vader back runs the risk of diluting the character and/or revealing aspects that don't need answering. At the very least, Han Solo is going to cover the smuggler's life debt with Chewbacca and early adventures with Lando Calrissian, which hopefully will enhance certain scenes and relationships from the saga films. Arguably, Darth Vader may not add very much to the pre-existing canon, outside of more sequences of him being terrifying (and viewers already have plenty of reasons to fear him). Yes, Vader and Palpatine could be an interesting angle, but audiences saw the manipulation of Anakin in the prequels, which gave the two a father/son dynamic that informed Skywalker's turn to the Dark Side. Additionally, whether it's fair or not, any set piece involving Vader using the Force and/or his lightsaber would immediately be compared to the ending of Rogue One, which is already considered one of the best in the series. That would be a high bar to clear, and quite possible an impossible one. Now that viewers have seen the Dark Lord mow through hopeless prey, the visceral immediacy would be lost in a similar sequence, and it could be open for criticism of being repetitive. What made that Rogue One scene so exciting is because that was something Vader has never done in the movies before. Would more of that have the same kind of impact, and would the story group want to take that chance? With the powers that be at Lucasfilm coming together in January 2017 to discuss the future of the Star Wars franchise, they will definitely be discussing possible spinoffs. If the topic of a Vader movie comes up, it'll surely be an interesting conversation to have, since both sides can make a convincing argument. Vader is a guaranteed box office draw and possibly has more to contribute to the growing lore and mythology, but part of what makes him such a memorable character is that he's so great in his brief moments, he leaves fans wanting more. Sometimes, there can be too much of a good thing and it will be crucial to find a happy medium in the event Darth Vader is green lit. The key, as always, will be to crack the right story that's worth telling. Star Wars movies are always going to make money, so the priority at Lucasfilm should always be telling a worthwhile narrative that enriches what fans already know. As of now, they don't seem to be in the business of making cash grabs, so they've earned the trust to make the right decisions. There's no denying a Vader spinoff could be a fantastic film, but if the last we've seen of him is slicing his way through Rebels in a hallway, then the Dark Lord went out with a bang.